I’d concur that the big reason for Frye’s omission is that he argues in favor of “large-scale patterns,” which I believe was one reason Frye disagreed with the structuralist methodology. Large patterns suggest Jung– who was indubitably an influence on Frye– and hence take the discussion away from the preferred reductive paradigms. I commented on a forum recently that Frye is easier to ignore than to refute, BTW. Yes, Frye disagrees with the specifics of structuralism – the structures he sees and talks about are simply quite different from the binary oppositions of structuralism. But then Frye also disagrees with many Jungians, and with certain of Jung’s basic ideas, at least when it comes to literature. 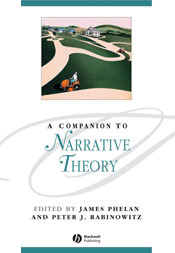 Frye said the collective unconscious was an unnecessary postulate for literary criticism (in AC, I think)–the critic studies literature, not the psyche. And in On Education he says a little more: there is enough common structure in the human mind, and in the human experience with the environment, and in the materials and forms the artist works with, to explain the common structures we find in art works. A potential problem for Jung, and for any theory that relies on ideas about the unconscious, is circularity: you explain the patterns you find in human behaviour by positing unconscious structures, but all the evidence for the unconscious structures comes from those same observed patterns.